Create a peaceful atmosphere in your home or place of work with the sights and sounds of raindrops falling on lush green tropical leaves and the songs of exotic birds singing in the jungle. 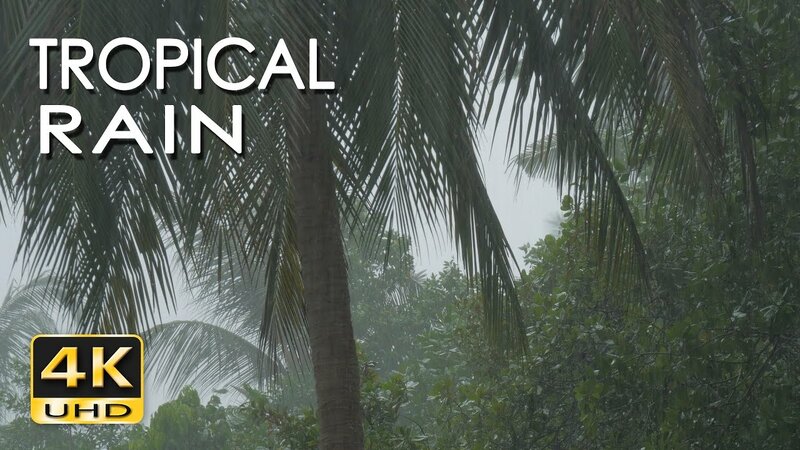 This UHD/2160p video and high quality audio recording of tropical nature can be used to create a backdrop of natural peace and beauty and to help with calming the mind for relaxation, sleep, studying, working, meditating, etc. * 5.1 channel SURROUND SOUND * This natural ambience audio is recorded with a surround microphone and is encoded as 6 channel audio. All material in this video is original and personally recorded by myself on location. Copyright © 2017 TheSilentWatcher.com. All Rights Reserved.